Many grammatical concepts that U.S. students used to learn in school have slipped into a twilight of things vaguely understood but still sometimes wondered about. Among the most basic concepts that high school students once graduated knowing were the four kinds of English sentence: simple, compound, complex, and compound-complex. Because of its name, a simple sentence would seem to be the easiest to identify. Apparently not. Harry bent down and picked them up one by one, dropping them back in the boxes. The sentence, however, is simple. To make this clear, a review of terms is called for. Clause: A clause is a group of words having a subject and a predicate. Predicate: The predicate is what is said about the subject. The predicate will contain a main verb. Main verb: A main verb shows tense. Such a verb is called a finite verb. Independent clause: An independent clause is made up of a subject and predicate that make sense standing alone as a sentence. Another name for an independent clause is main clause. That takes care of the terms; now for the analysis. Dropping is not a main verb. Dropping is the participle form of the verb to drop. In the sentence under discussion, dropping has no helping verb so it cannot be the main verb in a clause. It is nonfinite. That means it does not indicate past, present, or future time. In the sample sentence, dropping introduces a participial phrase: dropping them back in the boxes. The participial phrase is used adjectively to describe Harry. In our sample sentence, Harry is the subject; bent down and picked up is a compound verb that says something about Harry. Harry dropping them back in the boxes is the complete subject and bent down and picked them up one by one is the complete predicate. Note: As long as the subject performs every action in the sentence, the sentence is a simple sentence. If two subjects perform different actions, the sentence will be a compound sentence. For example, Susy dropped the boxes and Harry picked them up. I am certain that this is a mistake – a compound sentence can be two main clauses connected by a coordinate conjunction. In the example given, there are two main clauses: Harry bent down and Harry picked them up. In order to preserve coherence, we normally ellipse information that it is not necessary to repeat, in this case the subject Harry. That does not, however, mean this becomes a simple sentence. It remains a compound sentence. 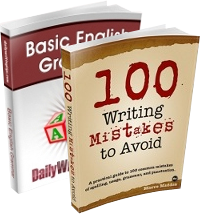 Your other examples, containing a variety of compound subjects and verbs, are also compound sentences. 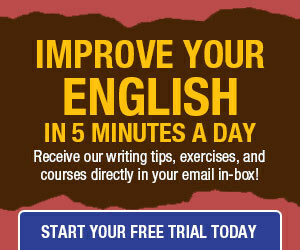 “As long as the subject performs every action in the sentence, the sentence is a simple sentence. If two subjects perform different actions, the sentence will be a compound sentence.” For example, Suzie dropped the boxes and Harry picked them up.is a compound sentence. I’m grateful for your comment. I should probably add this point to the post. I am a journalism student in my third year at the Unversity of Southern Illinois (Carbondale). I am a non-traditional student that fell in love with communications. Referring to Maeve Maddox statement, I appreciate your comment. It helps clear up what simple sentences and compund sentences are. I am currently working on my blog, writing skills, and a few multimedia projects. Valerie is not correct. While the reader naturally supplies the subject of the participial phrase, the phrase is not elided. This is a simple sentence because the phrase does not contain an explicit subject of its own. If it did, a subordinating conjunction would be requisite. Never mind dependent clauses or whatever, the sentence “Harry bent down and picked them up one by one, dropping them back in the boxes.” is wrong. Harry cannot bend down and pick ‘them’ up and drop them into the boxes all at the same time. First he bent down and picked them up, THEN he dropped them into the boxes. A total reword is needed.